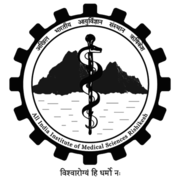 AIIMS Rishikesh Recruitment 2019 - Apply Online for 115 Faculty Posts in AIIMS Rishikesh, Uttarakhand on Direct / Deputation. Online Applications are invited by AIIMS Rishikesh from 02 Feb 2019 to 31 Mar 2019 11:59 PM for 115 vacancies. 26 For Medical Candidates: Fourteen years teaching and/or research experience in subject specialty after obtaining of M.D./M.S. or qualification recognized equivalent thereto. Non-Medical candidates: Fourteen years teaching and/or research experience indiscipline / subject concerned after obtaining Ph.D.
For Non-Medical candidates: Ten years teaching and/or research experience indiscipline / subject of concerned after obtaining Ph.D.
For Non-Medical candidates: Six years teaching and/or research experience indiscipline / subject of concerned after obtaining Ph.D.
19 For Medical Candidates: Three years teaching and/or research experience in experience in subject speciality after obtaining of M.D./M.S. Or a qualification recognized equivalent thereto. For Non-Medical candidates: Three years teaching and/ or research experience indiscipline / subject of concerned after obtaining Ph.D. Eligible candidates may apply online at AIIMS Rishikesh's website (direct link is given below) from 02 Feb 2019 to 31 Mar 2019 11:59 PM.